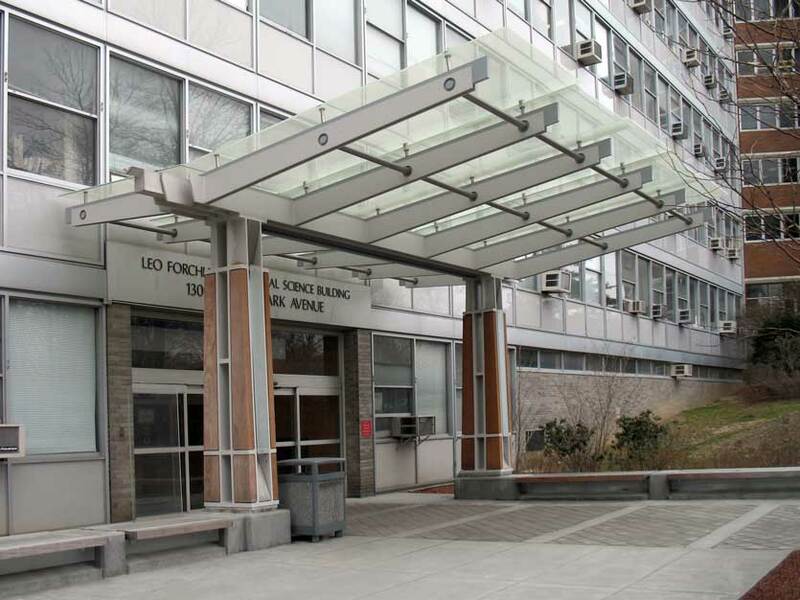 This sweeping cantilevered canopy protects the main entrance to the Leo Forchheimer Medical Science building at the Albert Einstein College of Medicine in The Bronx, New York. 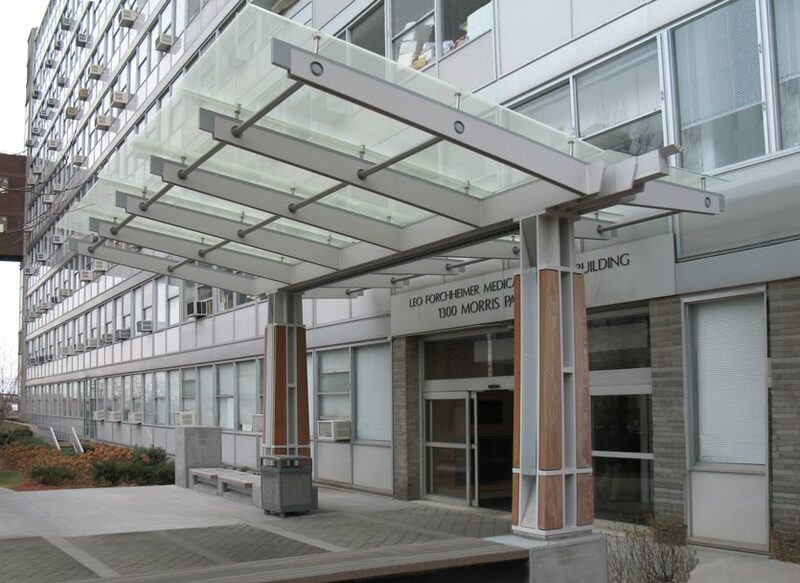 The canopy is built from cast steel with stainless steel fittings supporting tinted tempered 1â€ thick glass panels. 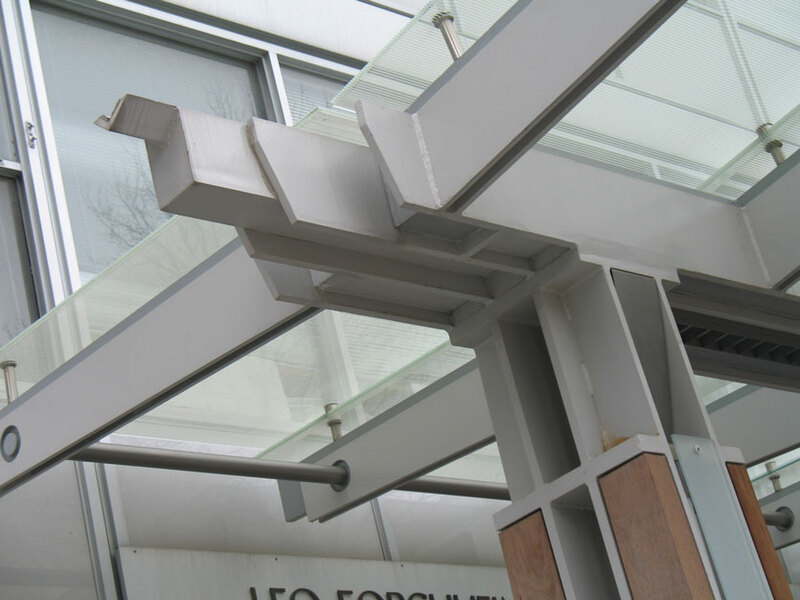 The steel support columns are clad in decorative teak.